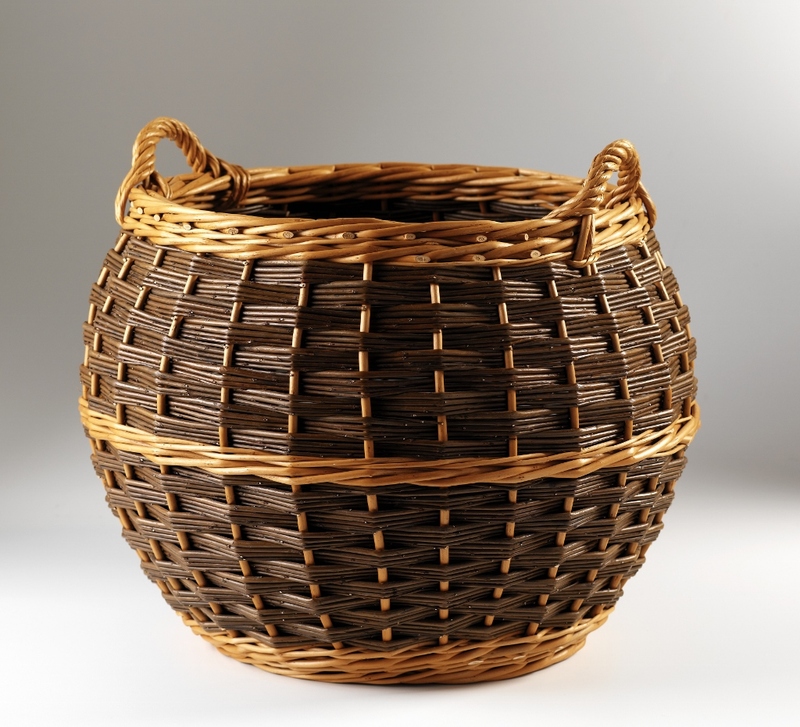 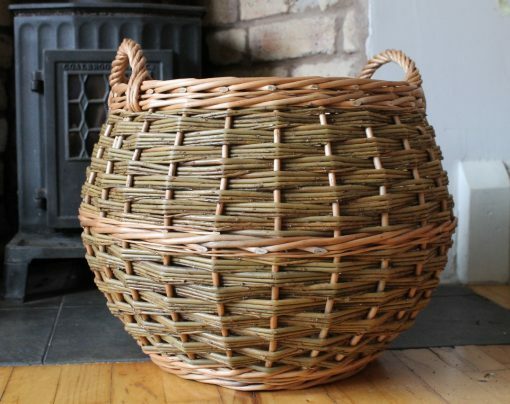 Made here, from buff and steamed willow (buff and green also shown) with sturdy woven handles in the attractive barrel shape. 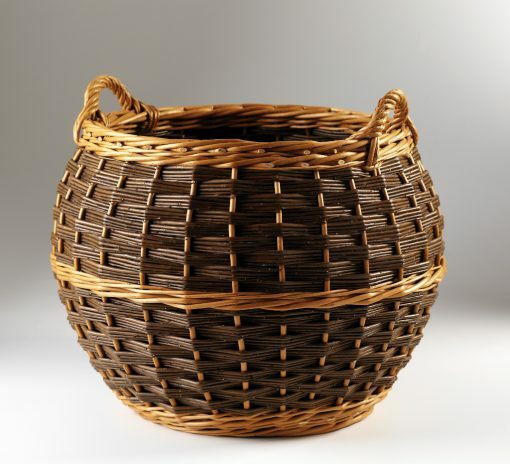 We can make the basket in all buff as well. 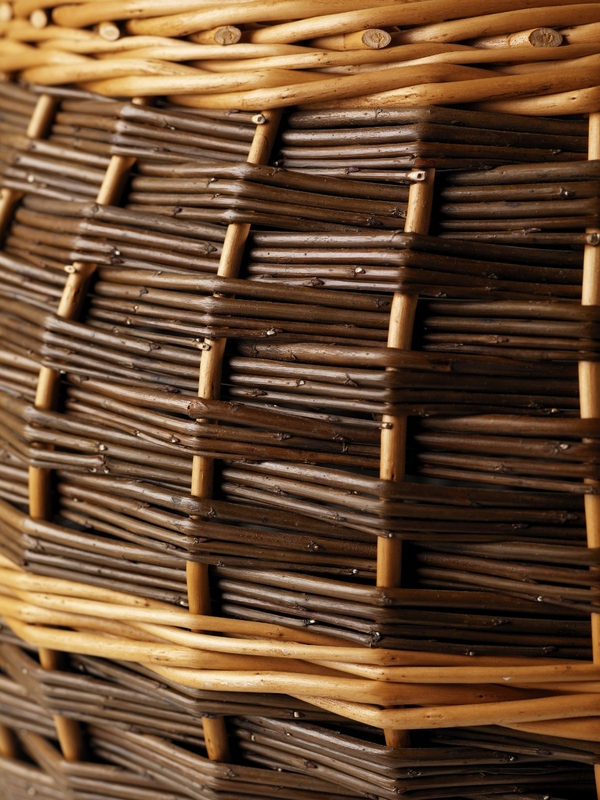 You can find information about the willow colours – how they are created and their properties – on the willow colours page. 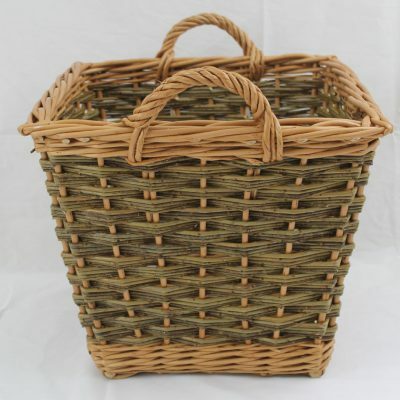 Price for this size is £65 plus p&p of £10.50 to most UK addresses. 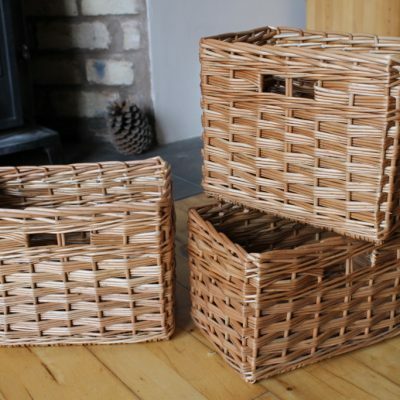 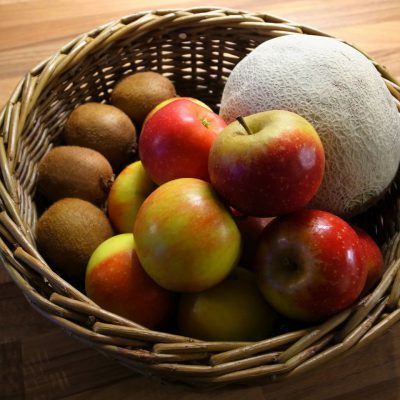 If you would like to order this basket, or would like a quotation for a different size or style of log basket, or need any further information, please email Alison or call on 01294 829012.